Solid: Please refer to available lace colors for Jade Tiffany Chiffon. 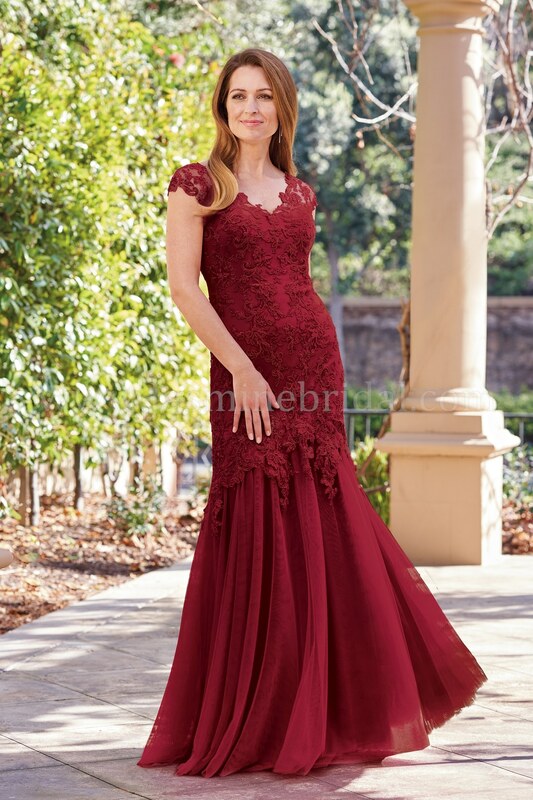 Beautiful lace (with stretch lining) and netting Mother of the Bride dress. V-neckline, cap sleeves, and a beautifully layered flare skirt to complete the look.